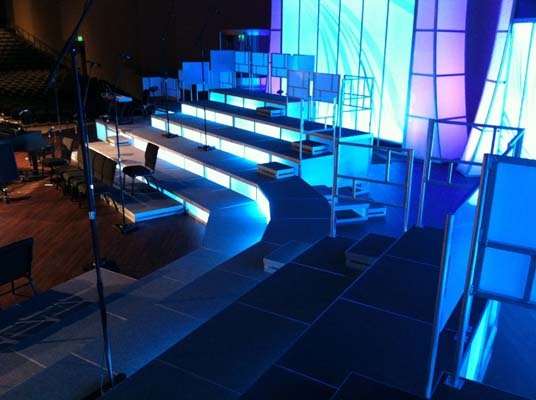 Our unique platform system consists of modular staging that can be modified to fit any need. You’ve seen other systems that mimic what we do. 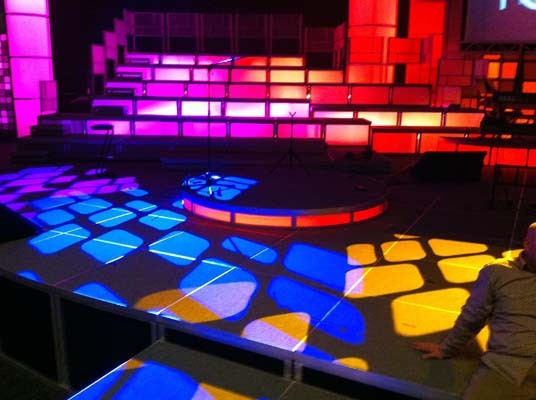 We are unique, we created the original 4 x 4 modular stage design that allows you to build any platform system with endless capabilities. Any size, any height, any creation! Cinemation Design started in 1993 with one vision in mind to give you the ability to design your project for today’s needs, as well as use the same elements to redesign for any other ideas you can dream up! All at a cost you can afford. Today we’ve installed this system in hundreds of churches all over the nation. The modular system is constructed from welded aluminum which is durable, able to hold 2000 pounds and weighs less than any non-aluminum (metal) staging. Standard sizes are simple; 4x4 or 3x3 with heights starting at 12” and go all the way up to 72”. 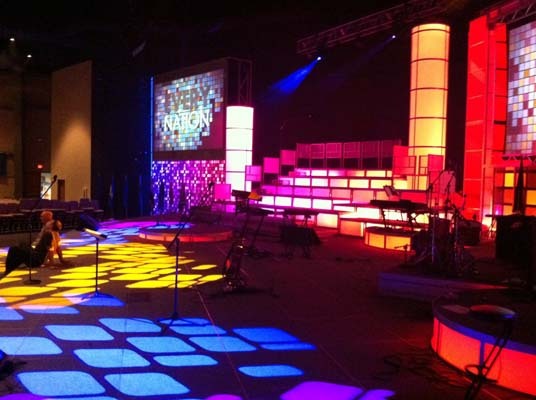 We also make all custom sizes to work with your sanctuary, worship center, fellowship hall or other rooms. 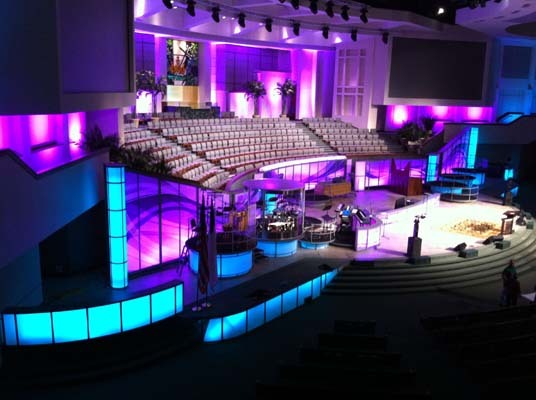 We also make choir risers, drum risers, and other platforms. All customizable for maximum use. Our staging or platform systems are powder coated silver or black; and of course, if you want to get fancy with a specific look or coating, we got you covered – or coated as we say. Click here to see the latest project with the newest powder coating option. The floor treatments are standard in black carpet, or can also be customized in frosted plexi-glass or wood laminate. But, don’t rule out any options, with us, the possibilities are endless.